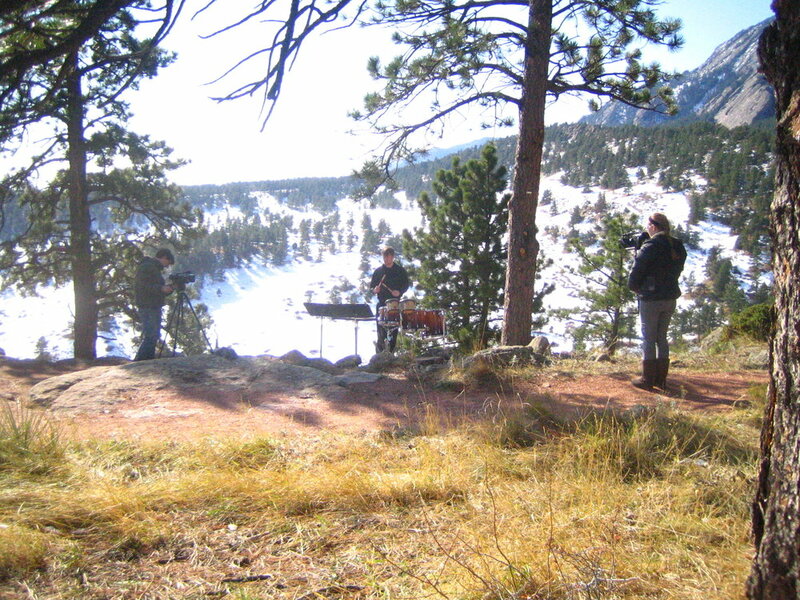 ‘Chinook’ is a percussion quartet and a sonic representation of the Chinook (or ‘snow eater’) wind patterns near Boulder, Colorado. 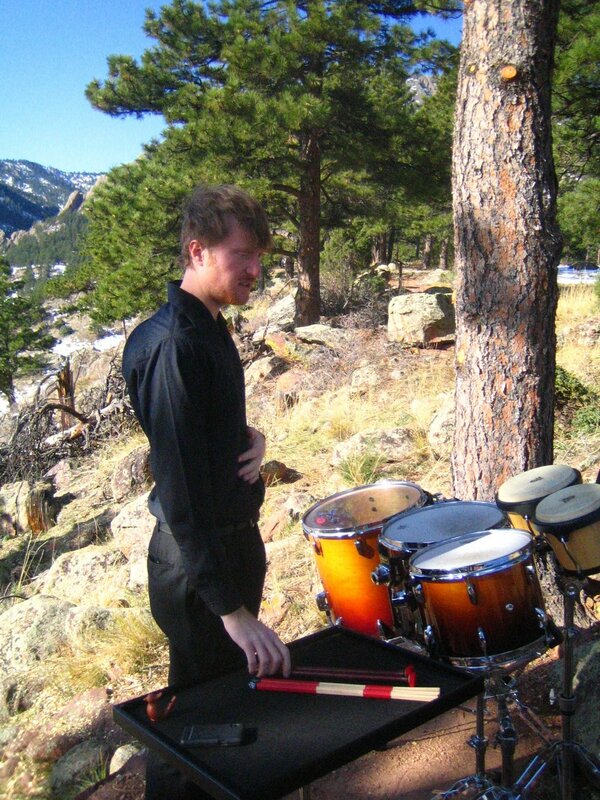 The piece can be performed as a concert piece, but this version was recorded and later filmed at the NCAR site (the National Center for Atmospheric Research). The film is a four-quadrant video, with each screen showing one of the four percussionists whose music interlocks. In this piece, I wanted the percussionists to ‘play’ the patterns of wind speed and and pressure in a musical way, but also limit the ensemble to non-pitched instruments (mostly wood and stone materials), and a very small setup for each player. Each player progressively moves from high to low pitched instruments, changing their rhythms based on weather data. There is even a moment when the winds are calm enough for the birds to make an appearance. Many thanks to the National Center for Atmopheric Research (NCAR) and to climatologist (and fellow musician) Jeff Weber.